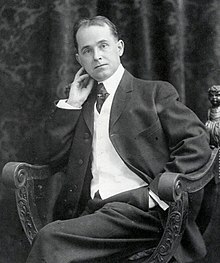 Zenas Winsor McCay (s. 1867–71 atau September 26, 1869 – Julai 26, 1934) adalah seorang kartunis dan juruanimasi Amerika. Dia terkenal dengan jalur komik Little Nemo (1905–14; 1924–26) dan filem animasi Gertie the Dinosaur (1914). Atas sebab-sebab kontrak, dia bekerja di bawah nama pena Silas di jalur komik Dream of the Rarebit Fiend. Hampir dari awal, McCay berinovasi dengan bentuk media pilihannya. Beliau mengubah saiz dan bentuk panel komik untuk kesan dramatik, seperti dalam ansuran kedua Little Nemo (22 Oktober 1905), di mana panel tumbuh untuk menyesuaikan diri dengan hutan cendawan yang semakin meningkat. Beberapa orang sezaman McCay begitu berani dengan susun atur halaman mereka. George Herriman dengan karyanya Krazy Kat adalah contoh paling ketara, tetapi tidak sampai generasi kemudian kartunis seperti Frank King dengan karyanya Gasoline Alley, Hal Foster dengan Prince Valiant, dan Roy Crane dengan Captain Easy mencuba reka bentuk berani itu pada halaman Ahad mereka. LorekanMcCay yang terperinci penguasaan perspektif meningkatkan lagi ilusi dalam lukisannya, terutamanya dalam Little Nemo. Lorekan gaya ganjilnya yang hebat seperti apa yang disaksikan oleh McCay semasa masanya di Wonderland dan Eden Musee sering muncul dalam kerja McCay. McCay telah diperhatikan kerana kelajuan dan ketepatan yang boleh dilukiskannya; ramai orang akan berkumpul untuk melihatnya melukis papan iklan. ^ Wikimedia Commons mempunyai fail tersedia untuk jalur penuh. ^ a b Haverstock, Vance & Meggitt 2000. ^ Harvey 1994, m/s. 21. ^ Harvey 1994, m/s. 21–22. ^ Canemaker 2005, m/s. 48. ^ Canemaker 2005, m/s. 31. ^ Canemaker 2005, m/s. 28. ^ a b c d Canemaker 2005, m/s. 60. ^ a b c d e f g h i j k l Canemaker 2005, m/s. 75. ^ a b c d e Canemaker 2005, m/s. 78. ^ Merkl 2007, m/s. 488. ^ a b c Canemaker 2005, m/s. 92. ^ a b c McKinney 2015, m/s. 1. ^ McKinney 2015, m/s. 2. ^ McKinney 2015, m/s. 11. ^ a b c d e f g h Canemaker 2005, m/s. 97. ^ a b c Canemaker 2005, m/s. 229. ^ a b c Canemaker 2005, m/s. 121. ^ a b c Merkl 2007, m/s. 466. ^ a b Merkl 2007, m/s. 485. ^ a b Canemaker 2005, m/s. 160. ^ Bukatman 2012, m/s. 109. ^ Bendazzi 1994, m/s. 16. ^ Canemaker 2005, m/s. 164. ^ Crafton 1993, m/s. 110; Canemaker 2005, m/s. 183. ^ Canemaker 2005, m/s. 195. ^ Canemaker 2005, m/s. 197. ^ Canemaker 2005, m/s. 198. ^ a b c d Canemaker 2005, m/s. 197–198. ^ a b Canemaker 2005, m/s. 194. ^ Canemaker 2005, m/s. 254. Ault, Donald; Andrae, Thomas; Gong, Stephen (2003). "An Interview with Carl Barks: Duckburg's True Founding Father". dalam Ault, Donald. Carl Barks: Conversations. University Press of Mississippi. m/s. 91–108. ISBN 978-1-57806-501-1. Bien, Laura (2011). Hidden History of Ypsilanti. The History Press. ISBN 978-1-60949-289-2. Canemaker, John (2005). Winsor McCay: His Life and Art (edisi Revised). Abrams Books. ISBN 978-0-8109-5941-5. Canwell, Bruce (2009). Mullaney, Dean, penyunting. Bringing Up Father: From Sea to Shining Sea the Cross-Country Tour of 1939–1940. IDW Publishing. ISBN 978-1-60010-508-1. Gardner, Jared (2012). Projections: Comics and the History of Twenty-First-Century Storytelling. Stanford University Press. ISBN 978-0-8047-8178-7. Haverstock, Mary Sayre; Vance, Jeannette Mahoney; Meggitt, Brian L. (2000). "McCay, Winsor Zenic (1869–1934)". Artists in Ohio, 1787-1900: A Biographical Dictionary. Kent State University Press. m/s. 549. ISBN 978-0-87338-616-6. Jacobowitz, Susan (2007). "'Words and Pictures Together": An Interview with Art Spiegelman". dalam Witek, Joseph. Art Spiegelman: Conversations. University Press of Mississippi. m/s. 152–162. ISBN 978-1-934110-12-6. Kundert-Gibbs, John; Kundert-Gibbs, Kristin (2009). Action! : Acting Lessons for CG Animators. John Wiley & Sons. ISBN 978-0-470-59605-0. Nel, Philip (2005). Dr. Seuss: American Icon. Continuum. ISBN 978-0-8264-1708-4. Sito, Tom (2006). Drawing the Line: The Untold Story of the Animation Unions from Bosko to Bart Simpson. University Press of Kentucky. ISBN 978-0-8131-2407-0. Stabile, Carol A.; Harrison, Mark (2003). Prime Time Animation: Television Animation and American Culture. Taylor & Francis. ISBN 978-0-415-28326-7. Smolderen, Thierry (2014). The Origins of Comics: From William Hogarth to Winsor McCay. University Press of Mississippi. ISBN 978-1-61703-149-6. Taylor, Constance, penyunting (2005). Winsor McCay: Early Works. VI. Checker Book Publishing Group. ISBN 978-0-9753808-3-3. Wells, Paul (2006). The Fundamentals of Animation. AVA Publishing. ISBN 978-2-940373-02-4. Winokur, Mark (2012). "Creole Cartoons". dalam Kessel, Martina; Merziger, Patrick. The Politics of Humour: Laughter, Inclusion, and Exclusion in the Twentieth Century. University of Toronto Press. m/s. 52–81. ISBN 978-1-4426-4292-8. Heer, Jeet (2006). "Little Nemo in Comicsland". Virginia Quarterly Review. University of Virginia. 82 (2): 104–121. ISSN 2154-6932. McKinney, Kirsten (July 2015). "The Waking Life of Winsor McCay: Social Commentary in A Pilgrim's Progress by Mr. Bunion". International Journal of Comic Art. 17 (1). Shannon, Edward A. (2010). "Something Black in the American Psyche: Formal Innovation and Freudian Imagery in the Comics of Winsor McCay and Robert Crumb". Canadian Review of American Studies. 40 (2): 187–211. doi:10.3138/cras.40.2.187. ISSN 1710-114X. Heer, Jeet (2006-01-08). "The Dream Artist". The Boston Globe. Dicapai 2012-06-25. Hubbard, Amy (2012-10-15). "Celebrating Little Nemo by Winsor McCay; his 'demons' made him do it". Los Angeles Times. Dicapai 2012-12-15. "The Cartoonist Group: Background About Winsor McCay". Syracuse Herald staff (1934-07-27). "Winsor M'Cay Early Comic Artist, Dies". Syracuse Herald. m/s. 12. Dixon, Gretchen (2008-07-26). "Winsor McCay Award Recipients Announced at Comic Con, San Diego". Reuters. Dicapai 2013-11-30. Fodor, Joe (2001-01-30). "Winsor McCay". Find a Grave. Dicapai 2012-12-18. Grand Lodge of British Columbia and Yukon staff (2002-01-26). "Zenas Winsor McCay". Grand Lodge of British Columbia and Yukon. Dicapai 2012-12-10. Heller, Steven (2007-11-13). "The Rarebit Fiend Dreams On: An Interview with Ulrich Merkl". AIGA. Diarkibkan daripada asal pada 2015-05-10. Dicapai 2012-06-25. Markstein, Don (2007). "Dream of the Rarebit Fiend". Don Markstein's Toonopedia. Dicapai 2012-06-25.
van Opstal, Huib (January 2008). "Dreams and Obsessions on Shelf and Screen". For Inspiration Only. Diarkibkan daripada asal pada 2008-04-29. Dicapai 2012-09-04. Young, James E. (2000). "Art Spiegelman's Maus and the After-Images of History". The New York Times. Dicapai 2012-07-04. Bracero, Rocky (2008). Winsor McCay: Illustrator Turned Animator and His Influence on Pixar. Fashion Institute of Technology. Braun, Alexander (2014). Winsor McCay. The Complete Little Nemo. Taschen. ISBN 978-3-8365-4511-2. Collier, Kevin Scott (2015). Growing Up McKay: The Untold Story of Winsor McCay's Life and Times in Spring Lake, Michigan, 1867 - 1885. Book Patch Publishing. ISBN 978-15-1929-424-1. Maltin, Leonard (1987). Of Mice and Magic: A History of American Animated Cartoons; Revised and Updated. Plume Books. ISBN 0-452-25993-2. Marschall, Rick (April 1986). "Penmen of the Past: Winsor McCay". Nemo. Fantagraphics Books (18): 34–43. McCay, Winsor (1983). Marschall, Richard, penyunting. "In His Own Words: Winsor McCay on Life, Art, Animation and the Danger of Greasy Foods". Nemo. Fantagraphics Books (3): 34–40. "Cartoon Library Acquires McCay Collection" (PDF). University Libraries New Notes. Ohio State University. 2006-06-01. Laman ini diubah buat kali terakhir pada 16:59, 1 Februari 2018.